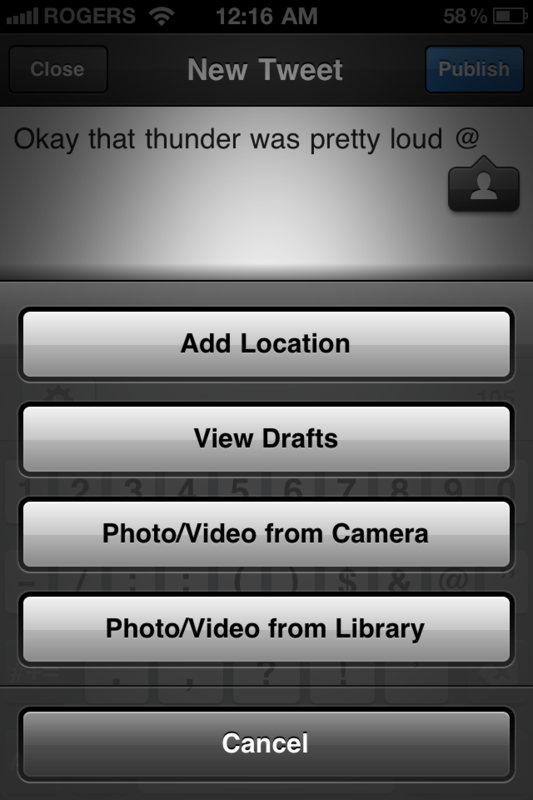 Update 1: Tweetbot has been updated with Push, and other various improvements. 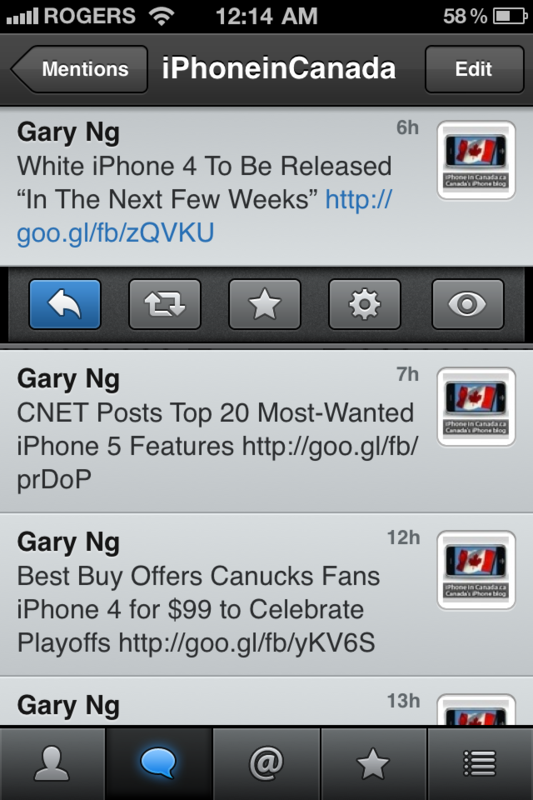 The evolution of iPhone twitter clients continues, and the latest to hit the App Store is Tweetbot. From the makers of Tapbot, this new twitter client has quickly gained popularity due to its fresh intuitive design and interface. 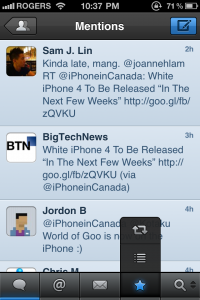 Compared to the official twitter app, and my favourite SimplyTweet 3, Tweetbot kicks it up another level. 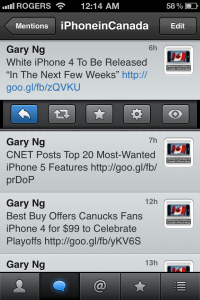 Here are the highlights I found Tweetbot excelled at, compared to others. If you follow various people on twitter, using lists is essential. Tweetbot is the first twitter app to make lists accessible and as your main timeline. Just tap the top ‘Timeline’ bar to quickly switch among your various lists. Tap on a tweet to immediately reveal a bar that enables you to reply, retweet, favourite, other options (Instapaper, email, etc), and viewing tweet details. No more tapping on an individual tweet, then tapping ‘back’. Those days are gone. Tweetbot saves you time and taps, and makes twitter even faster and easier to use. The last two tabs along the bottom bar in Tweetbot are easily customizable–just hold down your finger to quickly toggle between retweets, lists, and favourites. It’s so simple, and easy. Nowadays, twitter is a great way to find awesome links and articles from friends and others. Double tapping a link will load it within Tweetbot, and holding down on a link will enable other options such as sending to Instapaper. What about conversations? We all love to read what others are talking about, right? If you swipe to right, you can view conversations. Swipe to the left, and you can reveal replies. Double tap an avatar to visit a profile. A lot of thought has gone into Tweetbot to make it intuitive and seamless. It will take some time to get ‘acclimatized’ but once you do, you’ll really enjoy the app the longer you use it. 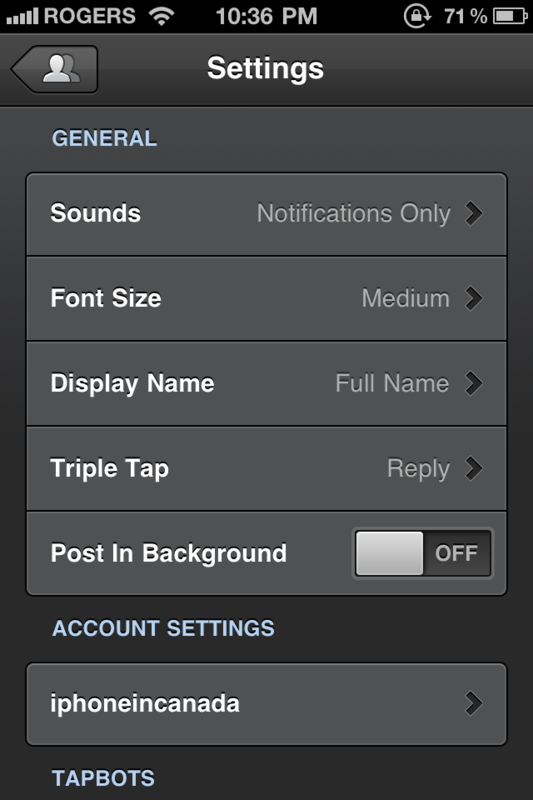 There are some potential ‘gripes’ with Tweetbot. Push Notifications require the app Boxcar, and are not built within the app. Why? Most likely because Push Notifications are expensive and Boxcar is one of the best ways to track all of your notifications in an easy to read timeline. Downloading, signing up, and setting up Boxcar takes time, but it’s so worth it. If you are really lazy, just setup Tweetbot next to the official twitter app on your homescreen. If you see a push alert, just launch Tweetbot instead. There is also no landscape support, but it is coming in an update. Easily replying to more than one person in your timeline requires work, unlike SimplyTweet (which so far makes it the easiest to do so). 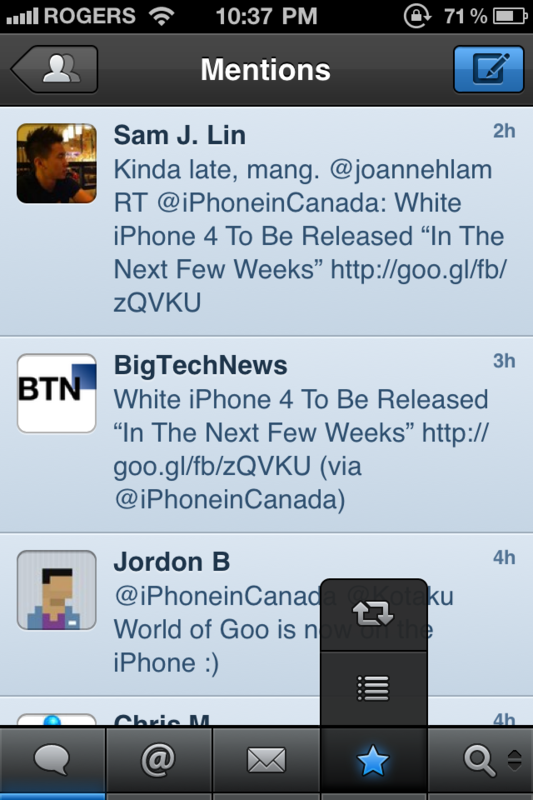 Other than that, Tweetbot is close to being the perfect iPhone twitter client. It’s beautifully designed, contains intuitive gestures, feature rich, and is a joy to use. It’s available for $1.99 (on sale) in the App Store, and is well worth it.Â The Tapbot team has utilized their strengths to create an app that will soon become the #1 downloaded twitter client in the App Store (it’s currently in the #2 spot under Social Networking in iTunes Canada). Click here to download Tweetbot, and let me know what you think of it. Degrees For iPhone: Canadian Weather In Style + Giveaway!